Get a Truly Professional Cleaning and Exam Today! Many people think they don’t need to visit the dentist unless they have a dental issue or emergency. 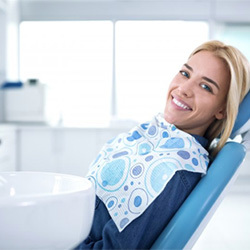 The fact is regular checkups and cleanings work to prevent these issues from appearing in the first place, so it’s always more proactive to visit twice a year for these treatments, not wait several years and allow dental disease to develop. 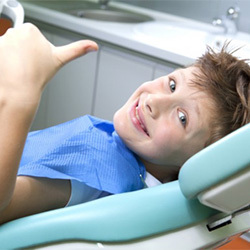 When you visit Eco Dental, you can expect a thorough, comprehensive and rewarding experience. You’ll leave more informed on the state of your oral health and complete your hygiene regimen. Dr. Danny Nguyen and Dr. Cindy Hua can’t wait to meet you, so contact our office today to get scheduled! As mentioned, routine checkups help us understand exactly what’s going on inside your mouth and determine the current state of your oral health. What may appear to be normal to you may not be normal to one of our dentist’s trained eyes. Dr. Nguyen and Dr. Hua are trained to catch even the earliest signs of tooth decay and gum disease, so you can receive treatment as soon as possible. Exams also include X-rays, which allow us to better understand what’s happening underneath your gum tissue. If you’re experiencing an issue, such as tooth pain, X-rays help us determine the exact location and cause of the problem. Even if you don’t have any symptoms, we can more easily detect decay and other conditions invisible to the naked eye. Finally, dental cleanings work to remove decay and tartar from the areas of the mouth that are either difficult or impossible to reach with a simple toothbrush. As a result, tartar (or the hardened form of plaque) can appear and needs to be removed. However, this material can only be removed by dentists as it requires special training and tools to accomplish. By visiting once every six months, you can rest knowing that you’re doing everything in your power to maintain optimal oral health! During your exam, our dentists will examine all the structures of your oral cavity, including your teeth, gums, tongue, inner cheeks, jaw and bite. We’ll make sure no decay or abnormalities are present and confirm if any restorative treatments are necessary. While the teeth and gums are essential areas to examine, we’ll also examine the throat for any growths or legions that could be cancerous. The exam will also include a measurement of your gum’s pocket depth, a reliable method for determining gum disease and the effectiveness of your at-home care. Your cleaning will include an expert removal of plaque and tartar from all areas of your mouth. Our hygienists make sure to be as thorough as possible while still providing a comfortable and relaxing dental environment. After we’ve broken up stains and cleaned all surfaces of your teeth, you may also receive a fluoride treatment for extra protection. Fluoride treatments are especially important for younger patients who require extra care as their mouths continue to develop. To ensure your oral health is in order, schedule an appointment with our office today!